We're continuing to celebrate national Ice Cream Month - yay! Do you remember eating those chocolate covered malt balls called Whoppers? They're a treat on their own, but kudos to Katherine and Flannery Good for coming up with the brilliant idea to include them in a milkshake! The recipe is super simple to make as an adult drink, and works well without the liquor, too. Place all ingredients into a blender (except the extra for garnish) for 2 minutes or until smooth. Pour into a glass, then garnish with the extra chopped chocolate malt balls. If you have a Discount Tire in your neck of the woods, they'll check your air pressure for FREE! Thats very cool, my parents use to always give me those whoppers for Easter,lol. Now, I rarely ever see them at the store unless I go to the candy aisle! For me, every month is "National Ice Cream Month!" Ice Cream is my weakness!! Thanks for the recipe!!! Oh yum..and vanilla vodka..ooh nice recipe!! Yum! 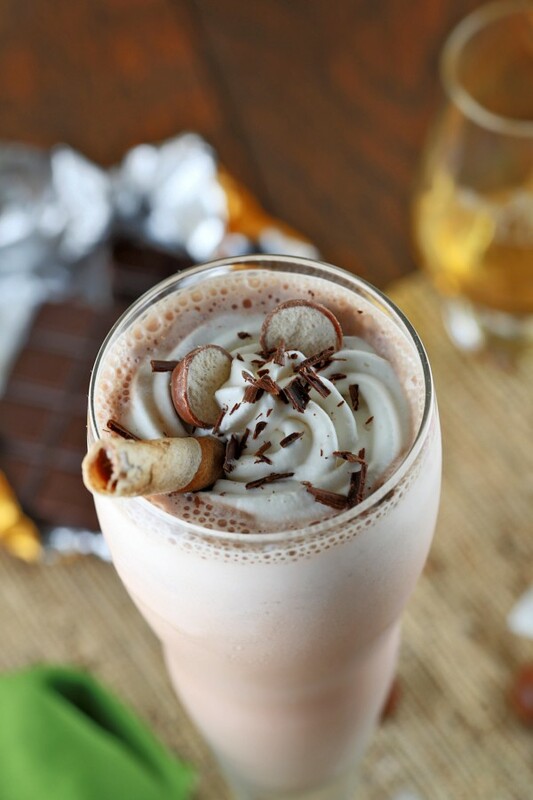 Like an adult version of a chocolate malt. Very decadent and yummy! Hugs and Happy Saturday! My milkshake brings to the boys in the yard. Damn right, it's better than yours. Damn right it's better than yours! I love milk shakes. I have a really good blender that crushes ice really well just for things like this. I love adding banana's and vanilla ice cream to mine. Hey There Keionda! I ate these all the time as a kid and find that I have to sometimes pull may hands back from picking them up in the store. (lol) The adult feel makes it even more decadent! Big Hugs and Happy Saturday!